FTI Consulting is a global business advisory firm. In 2006 it took over Financial Dynamics (also known as FD) a leading financial and corporate PR and lobbying firm with offices in Europe, the US, Asia, the Middle East and South Africa. FTI now offers lobbying services under its name. FTI declared their clients and lobbyists for the first time in APPC's '1st December 2014 - 28th February 2015' register. In October 2010 former Foreign Office minister Lord Mark Malloch Brown joined FTI Consulting as chairman for global affairs. Four months before that FTI had hired Vicky Pryce – formerly a senior civil servant at the Department for Business, Innovation and Skills (BIS) – as a senior managing director in its economic consulting team, advising companies on issues including public policy. In December 2014 former Labour health minister Patricia Hewitt joined FTI in London as a senior adviser, working under former Conservative Party lobbyist Alex Deane. John Clancy, senior director. Former spokesman for EU trade commissioner Karel De Gucht. 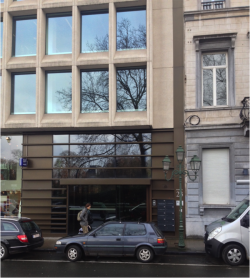 ↑ FTI Consulting Locations - Belgium, accessed 27 July 2015. ↑ John Harrington FTI expands Brussels public affairs team with seven senior hires PR Week, 11 March 2015, accessed 27 July 2015. ↑ 11.0 11.1 Current register 1st June 2016 - 31st August 2016, APPC, accessed 24 November 2016. This page was last modified on 8 November 2018, at 23:44.